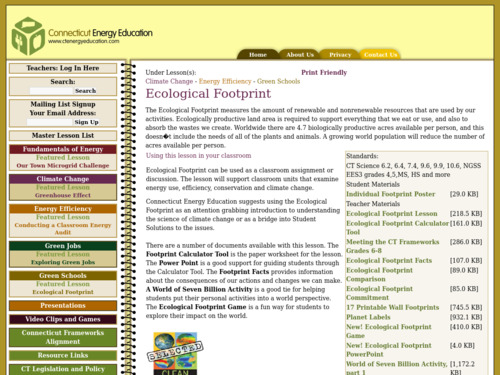 Students explore their own Ecological Footprint in the context of how many Earths it would take if everyone used the same amount of resources they did. They compare this to the Ecological Footprint of individuals in other parts of the world and to the Ecological footprint of a family member when they were the student's age. 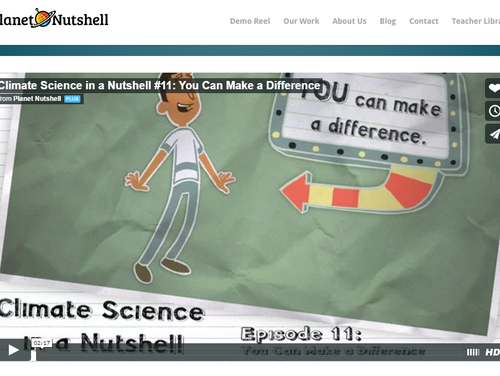 In this video from Young Voices for the Planet, four middle-school girls (The Green Team) talk about their efforts to work with their peers to reduce the carbon footprint of their school and how they made the school more energy efficient. 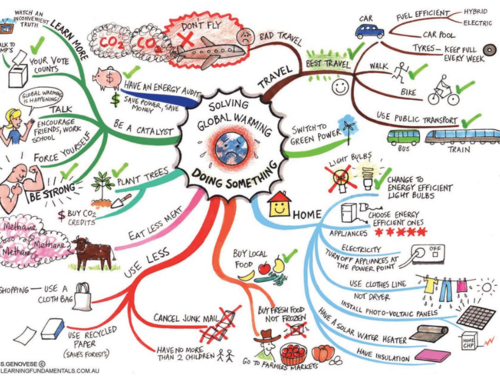 An attractive concept/mind map that illustrates various human strategies for responding to climate change. 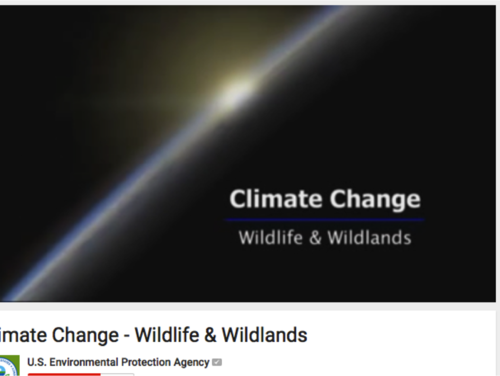 It was developed by a psychologist and not by an educator or scientist but can be used to inspire discussion and artistic representations of the human dimension to climate and energy issues. 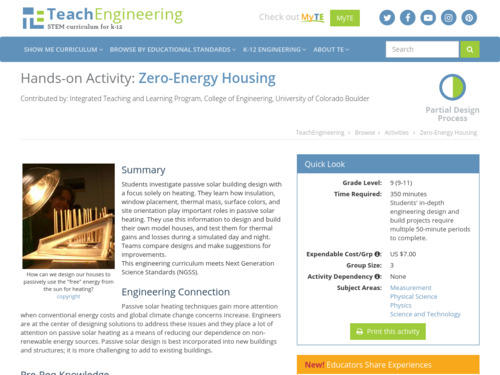 Students investigate passive solar building design with a focus on heating. 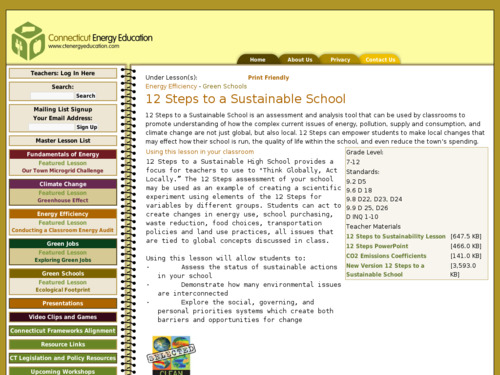 Insulation, window placement, thermal mass, surface colors, and site orientation are addressed in the background materials and design preparation. Students test their projects for thermal gains and losses during a simulated day and night then compare designs with other teams for suggestions for improvements. 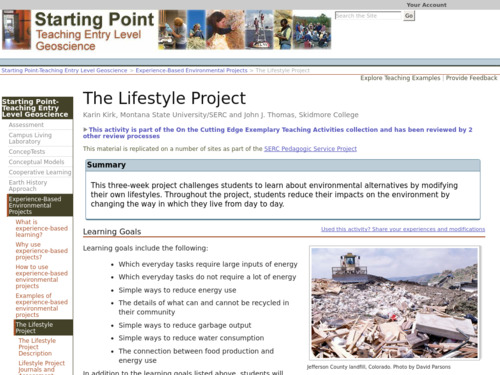 This is a team-based activity that teaches students about the scale of the greenhouse gas problem and the technologies that already exist which can dramatically reduce carbon emissions. 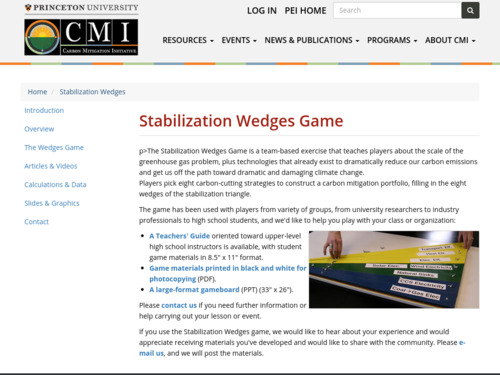 Students select carbon-cutting strategies to construct a carbon mitigation profile, filling in the wedges of a climate stabilization triangle. 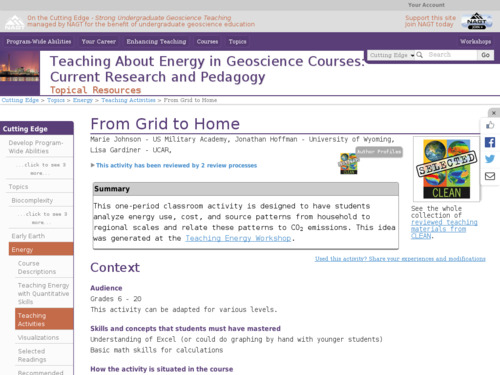 In this classroom activity, students analyze regional energy usage data and their own energy bills to gain an understanding of individual consumption, regional uses, costs, and sources of energy.